Up until now I haven’t mentioned much about the Nepal part of our trip. 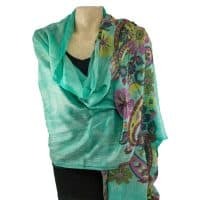 The main purpose of my trip was to find reliable suppliers of “Pashmina” products whether they be the style Pashmina or the material Pashmina and to learn and understand the manufacturing process. The second part was to ensure that the products were ethically sourced and where possible the money went back into the community. 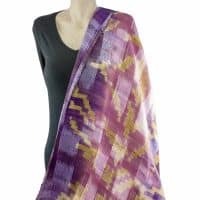 I have formed relationships with a pashmina manufacturer who specialises in screen printing, one who specialises in jacquard and the Women’s Foundation of Nepal which specialises in hand-loomed products. I am happy to say that all products are ethically sourced as I have witnessed the making of their products. One thing that stood out to me was that whilst some processes are done by machinery there is a lot of manual work. This is important in the treatment of the material and quality control from a product perspective. On a personal level it keeps them employed. When you see the care that goes into the making of ‘Pashmina’ you can definitely respect the product. I have learned about the material Pashmina/Cashmere and can now look forward to proudly creating my own label in the future.